Get a cinematic experience when you plug in the Panasonic TX-65FX750B 65" Smart 4K Ultra HD HDR LED TV. 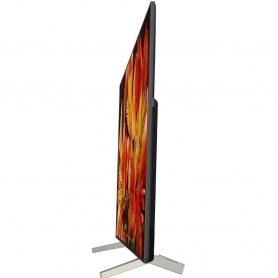 With up to four times the detail of a Full HD screen and HDR with Local Dimming bringing the best out of the colours, you'll get stunningly realistic entertainment that'll leap off the screen. Its colour processor takes things one step forward - designed by film industry pros, you'll see movies in all their brilliance just as the directors intended. 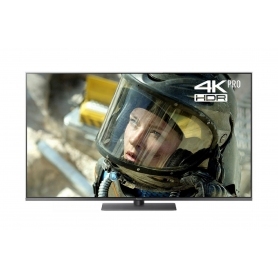 Watch all your favourite shows from the big streaming services on the Panasonic TX65FX750B. Switch on Netflix and binge the latest must-see series, or delve into the Prime Video catalogue and find an old favourite to while away a relaxed Sunday with. Missed something on TV? Missed shows become a thing of the past with the FX750B's electronic programme guide. You can rewind by up to seven days and watch anything you didn't get to see with a few clicks of your remote control. There's also a USB socket so you can record onto a portable device. You'll even find a Discovery Bar that recommends new shows for you to get into.